Reach Out to the Whole Child! Today, character education requires more than teaching the basics of living in harmony with others. It now includes guiding kids to achieve personal goals in the bigger world. 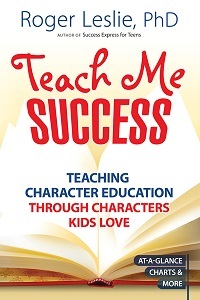 Teach Me SUCCESS is based on seven SUCCESS traits that have revitalized the mandated character education movement. The book's innovation approach makes planning easy for educations and learning a delight for kids! "This is breakthrough character education. For schools pressed for time and resources, it's an essential tool. For parents and grandparents, it's a fast way to find good books rich in character themes. Hats off to Dr. Leslie and his team of 50 teachers!" "Dr. Roger Leslie has created the most extensive analysis of character traits in children's literature that I have seen. This inspired guide is highly useful for any educators who need to integrate character education into their curricula." "Dr. Leslie's book provides a creative, user friendly, time-saving reference set of resources for character education in the classroom, the counseling office, and the home." Roger Leslie, PhD is nationally recognized by school districts, universities, and education organizations for his leadership in the character education movement. His first book, Success Express for Teens, has won multiple book awards and praise by fellow educators. A former English teacher and librarian, Dr. Leslie is vanguard in the effort to continually improve the way educators translate what is require into what is rewarding for teacher and students alike. 19-08-2015 Susan F. Dorman, Ph.D.
Amato, M. (2006). Please Write in This Book . New York: Holiday House. Angleberger, T. (2010). The Strange Case of Origami Yoda . New York: Amulet. Avi. (2004). The End of the Beginning: Being the Adventures of a Small Snail (and an Even Smaller Ant) . Orlando, FL: Harcourt. Avi. (2001). The Good Dog . New York: Scholastic. Avi. (2009). Murder at Midnight . New York: Scholastic. Barry, D., & Pearson, R. (2006). Peter and the Starcatchers . New York: Hyperion Books for Children. 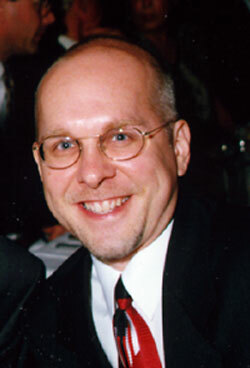 Bauer, M. D. (2004). Runt . New York: Yearling. Birney, B. G. (2005). The World According to Humphrey . New York: Puffin. Blume, J. (2007). Double Fudge . New York: Puffin. Bruchac, J. (2001). Skeleton Man . New York: Scholastic. Bruel, N. (2011). Bad Kitty Gets a Bath . New York: Scholastic. Buckley, M. (2009). NERDS: National Espionage, Rescue, and Defense Society (Book One) . New York: Amulet. Butler, D. H. (2003). Trading Places with Tank Talbott . Morton Grove, IL: Albert Whitman & Company. Byars, B., Duffey, B., & Meyers, L. (2004). The SOS File . New York: Henry Holt. Byng, G. (2002). Molly Moon's Incredible Book of Hypnotism. New York: HarperCollins. Carey, J. L. (2004). Wenny Has Wings. New York: Aladdin. Clements, A. (2006). The Last Holiday Concert . New York: Aladdin. Clements, A. (2005). Lunch Money . New York: Simon & Schuster Books for Young Readers. Clements, A. (2007). No Talking . New York: Atheneum Books for Young Readers. Clements, A. (2004). The Report Card . New York: Scholastic. Clements, A. (2002). A Week in the Woods . New York: Simon & Schuster Books for Young Readers. Colfer, E. (2006). Eoin Colfer's Legend of Captain Crow's Teeth . New York: Miramax Books/Hyperion Paperbacks for Children. Colfer, E. (2004). Eoin Colfer's Legend Of. Spud Murphy . New York: Miramax Books. Collard, S. B. (2008). Dog Sense . Atlanta, GA: Peachtree. Collins, S. (2003). Gregor The Overlander (Underland Chronicles, Book 1) . New York: Scholastic. Cowley, J. (2008). Snake and Lizard. La Jolla, CA: Kane/Miller. Creech, S. (2004). Ruby Holler . New York: HarperTrophy. Davies, J. (2007). The Lemonade War (The Lemonade War Series) . Boston: Houghton Mifflin Harcourt. Delaney, J. (2005). The Last Apprentice (Revenge of the Witch) . New York: HarperCollins. Delaney, M. (2008). Obi, Gerbil on the Loose! . New York: Dutton Children’s Books. Derby, K. (2004). By Ken Derby The Top 10 Ways to Ruin the First Day of 5th Grade (First Edition) [Hardcover] . New York: Holiday House. DiCamillo, K. (2000). Because of Winn-Dixie . Somerville, MA: Candlewick.
. New York: Simon and Schuster Books for Young Readers. DuPrau, J. (2004) The City of Ember (The First Book of Ember). New York: Random House. Easton, P. H. (2003). Davey's Blue-Eyed Frog. New York: Clarion. Evans, D. (2004). MVP*: Magellan Voyage Project. Asheville, NC: Front Street. Feldman, J. (2008). The Gollywhopper Games. New York: Greenwillow. Fine, A. (2006). The Diary of a Killer Cat. New York: Farrar, Straus and Giroux. Funke, C. (2004). Dragon Rider. New York: Scholastic. Funke, C. (2003). The Thief Lord. New York: Scholastic. Giff, P. R. (2005). Eleven. New York: Puffin. Grogan, J (2007). Marley: Marley: A Dog Like No Other. New York: Collins. Gutman, D. (2006). The Homework Machine. New York: Aladdin. Gutman, D. (2004). My Weird School #1: Miss Daisy Is Crazy!. New York: HarperCollins. Gutman, D. (2006). Satch & Me (Baseball Card Adventures). New York: HarperCollins. Haddix, M. P. (2005). Double Identity. New York: Simon & Schuster Books for Young Readers. Haddix, M. P. (2008). Found (The Missing, Book 1). New York: Scholastic. Haddix, M. P. (2004). Say What? (Ready-for-Chapters). New York: Simon & Schuster Books for Young Readers. Hahn, M. D. (2008). All the Lovely Bad Ones. New York: Houghton Mifflin Harcourt. Hahn, M. D. (2007). Deep and Dark and Dangerous. New York: Clarion. Hahn, M. D. (2004). The Old Willis Place. New York: Clarion. Hahn, M. D. (2006). Witch Catcher. New York: Clarion. Harlow, J. H. (2005). Thunder from the Sea. New York: Aladdin. Hayes, J. (2004). Ghost Fever/Mal de Fantasma (English and Spanish Edition). El Paso, TX: Cinco Puntos. Hiaasen, C. (2005). Flush. New York: Alfred A. Knopf. Hobbs, V. (2009). Sheep. New York: Scholastic. Jenkins, E. (2006). Toys Go Out: Being the Adventures of a Knowledgeable Stingray, a Toughy Little Buffalo, and Someone Called Plastic. New York: Schwartz & Wade. Jones, M. T. (2007) Champ. New York: Scholastic. Kadohata, C. (2007). Cracker! : The Best Dog in Vietnam. New York: Atheneum Books for Young Readers. Kehret, P. (2006). Abduction! . New York: Puffin. Kehret, P. (2004). Escaping the Giant Wave. New York: Aladdin. Kehret, P. (2007). The Ghost's Grave. New York: Puffin. Kehret, P. (2008). Spy Cat (Pete the Cat). New York: Sleuth Penguin. Kehret, P. (2010). Stolen Children. New York: Puffin. Kehret, P. (2002). The Stranger Next Door (Pete the Cat). New York: Sleuth Penguin. Kibyuishi, K. (2008). The Stonekeeper (Amulet, Book 1). New York: Graphix. Kinney, J. (2007). Diary of a Wimpy Kid, Book 1. New York: Amulet. Kinney, J. (2008). Rodrick Rules (Diary of a Wimpy Kid, Book 2). New York: Amulet. Kinney, J. (2008). Diary of a Wimpy Kid: The Last Straw (Book 3). New York: Amulet. Kinney, J. (2009). Dog Days (Diary of a Wimpy Kid, Book 4). New York: Amulet. Kinney, J. (2010). The Ugly Truth (Diary of a Wimpy Kid, Book 5). New York: Amulet. Knudson, M. & Wilkinson, S. (2008). Raymond and Graham Rule the School. New York: Viking Children’s. Korman, G. (2007). Schooled. New York: Hyperion Books for Children. Korman, G. (2008). Swindle . New York: Scholastic. Korman, G. (2009). Zoobreak (Swindle). New York: Scholastic. Kurtz, C (2010). The Pup Who Cried Wolf (Animal Tales) . New York: Bloomsbury USA Children’s. Lechner, J. (2007). Sticky Burr: Adventures in Burrwood Forest. Cambridge, MA: Candlewick. Lin, G. (2011). Where the Mountain Meets the Moon. New York: Little, Brown. Look, L. (2010). Alvin Ho: Allergic to Girls, School, and Other Scary Things. New York: Yearling. Lord, C. (2008). Rules. New York: Scholastic. Lowry, L. (2004). Gooney Bird Greene. New York: Dell Yearling. Lubar, D. (2006). Punished! (Darby Creek Exceptional Titles). Plain City, OH : Darby Creek. Lupica, M. (2006). Heat. New York: Scholastic. Martin, A. M. (2005). A Dog's Life: Autobiography of a Stray. New York: Scholastic. Martin, A. M., & Godwin, L. (2000). The Doll People. Hyperion Books for Children. Mass, W. (2009). 11 Birthdays. New York: Scholastic. McDonald, A. (2007). Trolls Go Home! (Troll Trouble). New York: Bloomsbury Children’s Books. McDonald, M. (2005). Stink (Book #1): The Incredible Shrinking Kid. Cambridge, MA: Candlewick. McNish, C. (2006). Breathe: A Ghost Story. Minneapolis, MN : Carolrhoda. Mills, C. (2002). 7 x 9 = Trouble!. New York: Farrar, Straus and Giroux. Mull, B. (2007). Fablehaven. New York: Aladdin. Nolan, L. (2005). On the Road (Down Girl and Sit Series). Tarrytown, NY: Marshall Cavendish Children. O’Connor, B. (2007). How to Steal a Dog. New York: Farrar, Straus and Giroux. Park, L. S. (2005). Project Mulberry. New York: Clarion. Paulsen, G. (2007). Lawn Boy. New York: Wendy Lamb Books. Peirce, L. (2010). Big Nate: In a Class by Himself. New York: Harper. Pennypacker, S. (2008). Clementine. New York: Hyperion Paperbacks for Children. Pilkey, D. (2006). Captain Underpants And The Preposterous Plight Of The Purple Potty People. New York: Scholastic. Prineas, S. (2008). The Magic Thief. New York: HarperCollins. Riordan, R. (2005). The Lightning Thief: The Graphic Novel (Percy Jackson & the Olympians, Book 1). New York: Miramax Books/Hyperion Books for Children. Riordan, R. (2007). The Sea of Monsters (Percy Jackson and the Olympians, Book 2). New York: Miramax Books/Hyperion Books for Children. Riordan, R. (2009). The Last Olympian (Percy Jackson and the Olympians, Book 5). New York: New York: Disney/Hyperion. Rylander, C. (2011). The Fourth Stall. New York: Scholastic. Scieszka, J. (2008). Knucklehead: Tall Tales and Almost True Stories of Growing up Scieszka. New York: Viking. Seabrooke, B. (2003). The Haunting of Swain's Fancy. New York: Dutton Juvenile. Selznick, B. (2007). The Invention of Hugo Cabret. New York: Scholastic. Speck, K. (2007). Maybelle in the Soup. New York: Holt. Spinelli, J. (2002). Loser. New York: HarperTrophy. Stanley, D. (2002). The Mysterious Matter of I. M. Fine. New York: Scholastic. Stauffacher, S. (2005). Donuthead. New York: Dell Yearling. Stewart, T. L. (2007). The Mysterious Benedict Society. New York: Little Brown. Vernon, U. (2009). Dragonbreath #1. New York: Dial. Voigt, C. (2005). Angus and Sadie. New York: HarperCollins. Wallace, B. (2005). No Dogs Allowed!. New York: Aladdin. Weeks, S. (2005). So B. It. New York: HarperTrophy. Weston, R. P. (2008). Zorgamazoo. New York: Razorbill. Wiles, D. (2005). Each Little Bird That Sings. Orlando, FL: Harcourt. Wise, W. (2004). Christopher Mouse: The Tale of a Small Traveler. New York: Bloomsbury Children’s Books. Wolf-Morgenländer, K. (2009). RAGTAG. Boston: Clarion Books/Houghton Mifflin Harcourt.